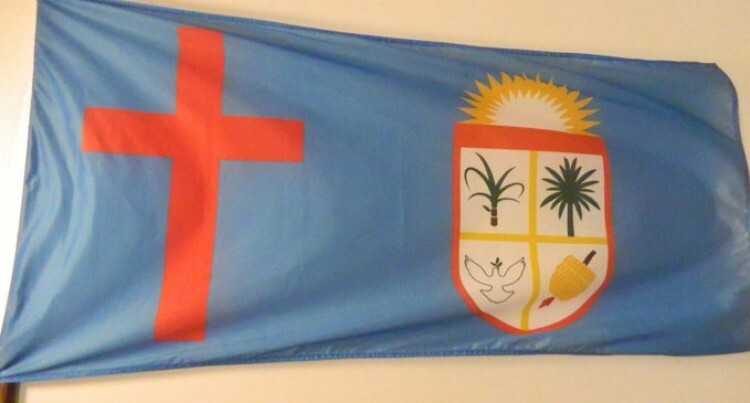 SODELPA has denied any links to the formation of two so-called “autonomous Christian states” in Fiji. SODELPA secretary Pio Tabaiwalu also dismissed reports that some SODELPA senior supporters were behind the move. Mr Tabaiwalu said party members were free to exercise their rights to join and support any party. But he pointed out that SODELPA, as a political party, was not involved. Jese Sikivou, a senior SODELPA official, said SODELPA leader and Rewa’s paramount chief, Ro Teimumu Kepa, was not aware of the autonomous states and as such she would not comment. Chiefs in Ra, Nadroga – Navosa and Ba have distanced themselves from the rebel group. The rebels had claimed they had formed the so-called Nadroga-Navosa Sovereign Christian State and the Ra Sovereign Christian State. Deputy Permanent Secretary of the Ministry of iTaukei Affairs, Apakuki Kurusiga, said the ministry was aware of this move and had alerted the Roko Tui in these provinces. TheRoko Tui in Nadroga-Navosa, Ba and Ra had sent in their report of the chiefs’ total support to the Prime Minister Voreqe Bainimarama-led Government. “The Roko Tui in these provinces met the chiefs in regards to the issue and they said they were not aware of the formation of such a state,” he said. He said this started in Ra and an approach was made to Nadroga – Navosa and Ba, but they were not welcomed. Mr Kurusiga said the claim that they now had the two autonomous states in Ra and Nadroga-Navosa was baseless and a lie. The late Ratu Osea Gavidi supported the rebels, but there was no support from Nadroga-Navosa. A member of the chiefly Na Kalevu family of Nadroga, Ratu Aisea Wakanimolikula, said the chiefly family of the province distanced itself from the group. He said the chiefly clan of Nadroga and the people of Nadroga and Navosa had given their support to Mr Bainimarama and his Government. Police spokesperson Inspector Atunaisa Sokomuri yesterday confirmed that Police were closely monitoring the people behind the move. “We know who they are,” Inspector Sokomuri said. He said some were interviewed by Police in Rakiraki. The rebels are linked to the Fiji Democracy Movement in Sydney. Its last meeting in Sydney last Thursday was chaired by a Sera Laveta. She told members that there were two “autonomous states” of Nadroga-Navosa and Ra. Mrs Laveta showed the two flags for the two autonomous states and even a flag for the Federated Sovereign States of the Fiji Islands. The woman behind this group is Ms Oni Kirwin who had earlier claimed in her visit to Fiji last year that she would be visiting the Buckingham Palace to officially meet the Queen. But it is understood it never happened. She is believed to be an Australian campaigner for Pacific indigenous rights.